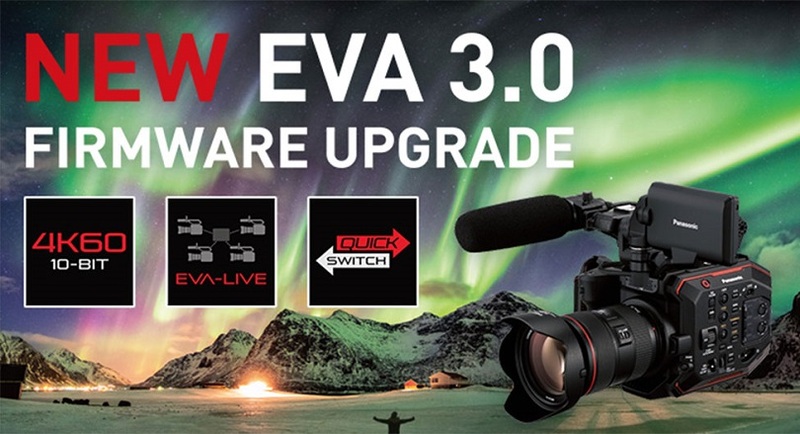 Panasonic has announced a free firmware upgrade, Version 3.0, for the AU-EVA1, which provides greater cost efficiency and futureproofing for the handheld cinema camera. Announced at the ongoing CABSAT 2019 at the Dubai World Trade Center, the third firmware upgrade features a new HEVC H.265 codec that can record in 4K 50p/60p video with 4:2:0 10bit video sampling. Compared to the H.264 codec in version two, this allows up to twice the amount of compressed data, while maintaining the same high-quality resolution. Panasonic’s HC-MDH3 AVCHD Shoulder Mount Camcorder with LCD Touchscreen & LED Light is at home shooting corporate, event, or indie projects. It features a 1/3.1″ BSI MOS sensor for improved low-light performance and incorporates a 20x zoom lens with five-axis hybrid image stabilization. The lens also features a single manual ring that you select to control focus, zoom, or iris. Built into the top handle is an LED light for illuminating your subject. An EF lens mount at the front of the body supports a wide range of interchangeable lenses from popular manufacturers. Directly behind the mount is an electronically controlled ND filter wheel offering 2, 4, and 6 stops of filtration for cutting down on excess light, letting you set your lens’s aperture to fit the desired aesthetic of your production. For further flexibility, the IR-cut filter is defeatable for shooting in extreme low-light situations or for creative color effects. Planning to build an eye-catching flashy showroom? Transparent LED will certainly serve your needs!! Audi project by Hibino from BizPro on Vimeo. LANDROVER from BizPro on Vimeo. Let us hear about your superb projects!! Please contact us for quotations from here.